Asylums once used to confine those deemed mentally unfit to linger, forgotten behind trees or urban development, beautiful yet desolate in their decay. Within them festers something far more unnerving than unlit corners or unexplained noises: the case files left to moulder out of sight, out of conscience. 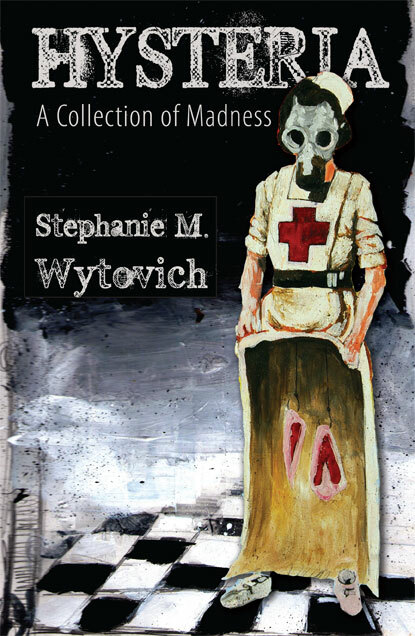 Stephanie M. Wytovich forces your hands upon these crumbling, warped binders and exposes your mind to every taboo misfortune experienced by the outcast, exiled, misbegotten monsters and victims who have walked among us. The poetry contained in Hysteria performs internal body modification on its readers in an unrelenting fashion, employing broad-spectrum brutality treatment that spans the physical to the societal, as noted in Stoker Award winner Michael A. Arnzen's incisive introduction.